New Driveways Hillside, IL - (708) 516-8353 - Blue Jay Services Inc.
Driveways are an important, yet often overlooked aspect of a home. Though we may not think about it, a driveway really improves the appearance of a house. If your driveway is old and worn out, it can make your home look old and worn out as well. Bad driveways drastically decrease the appeal of your house. If this is the case for your driveway, it’s time for a new driveway! 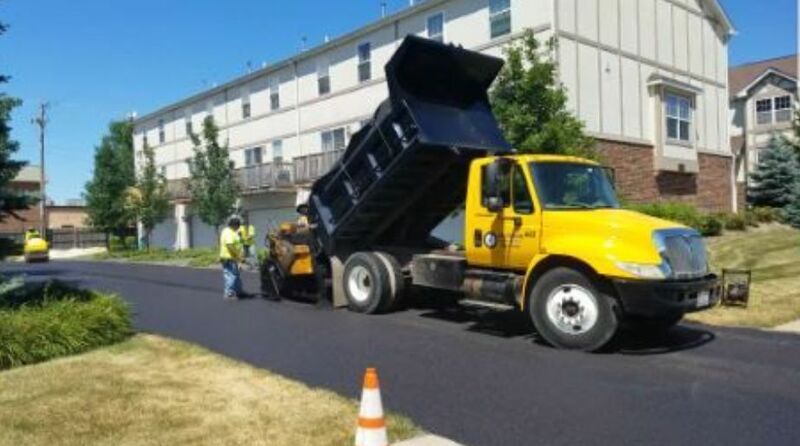 Whether your driveway is old or has potholes, our services can make it good as new! A nice, black driveway will freshen the look of your home and also add smoothness for when your car pulls up to the garage. When you need a new driveway, call on Blue Jay Services Inc.! We have a long line of satisfied customers with stunning new driveways on their property!